A fantastic one-of-a-kind penthouse (379m2) Nen 2580) suitable for a large family. 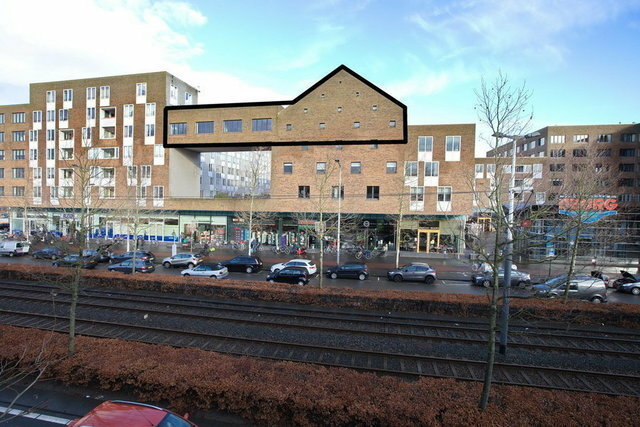 Immaculately presented 6 bedroomed apartment 13 mins away from Amsterdam city center. This high quality penthouse has superior sized rooms including a beautiful spacious kitchen which can be illuminated in any color of the rainbow, an impressive sized Living room and Bathroom. What makes this stunning penthouse unique is that it has a large bar, benefits from a beautiful patio accessible from the Kitchen and Bar. In addition, there is an audio system in various rooms throughout the apartment linked directly to the Bar. Also included is a parking space. Through a common entrance on the ground floor you enter a spacious hall, which gives access to the staircase and the elevator. On the fourth floor you will find this beautiful penthouse. The accommodation consists of a long spacious entrance hall, giving access to several rooms. The first bedroom is equipped with a sink and a spacious walk-in closet, overlooking the gardens below. The next room is a second bedroom which has an internal staircase leading to the fifth floor, where the third and fourth and second bedroom is located. Through the hall on the 5th floor you reach the fifth bedroom which has an en-suite bathroom with a shower, toilet and a sink. This bedroom has a spiral staircase that takes you to a open space where there is room for a large double wardrobe. Adjacent to the fifth bedroom, you will find the master bedroom with an en-suite bathroom. The master bedroom has a sink, toilet and a shower. There is also an internal spiral staircase which leads to an open space for a double wardrobe. The hall on the fourth floor leads you to a spacious storage and utility room on the left. This room also houses the clean air-flow system. Adjacent to this is a separate guest toilet with a sink. Next you find a very spacious bathroom which is equipped with: a double sink, double shower, large jet stream bath and a toilet. At the end of the hall you enter the very large living room and imagine yourself in the sea with beautiful lights, where you can look down on the gardens below. The living room has a projector built into the remote controlled drop down ceiling, and an electric screen on which it is projected. You can also walk from the living room to the 5th floor on very wide sweeping staircase. Next to the living room you will find a beautiful bar where you can relax and enjoy a good sound system.. The high standard kitchen with a very large cooking island is equipped with every luxury. Bar; Patio; Elevator; 6 bedrooms; 3 bathrooms; underfloor heating; advanced airflow system; all windows are double glazed; Parking space; 379m2 of living space 8.5 m2 external storage room Sound system (on the entire fourth floor); Purchased leasehold until 15-10-2053. Sale is subject to contract award. We would like to make an appointment for a viewing with you! This offer text has been compiled with the utmost care on the basis of information provided by the seller. No rights can be derived from this information with regard to the broker or the vendor.